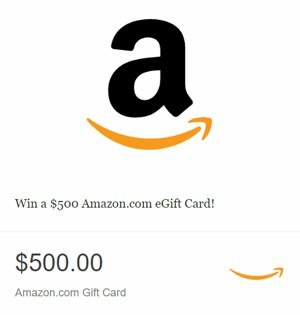 Grand Prize is a $500.00 Amazon.com e-Gift Card. By clicking all the Entry Multipliers, you are essentially giving yourself 5 entries per day. We strongly recommend doing this.